Nythfa Guesthouse Pembrokeshire – Wales. 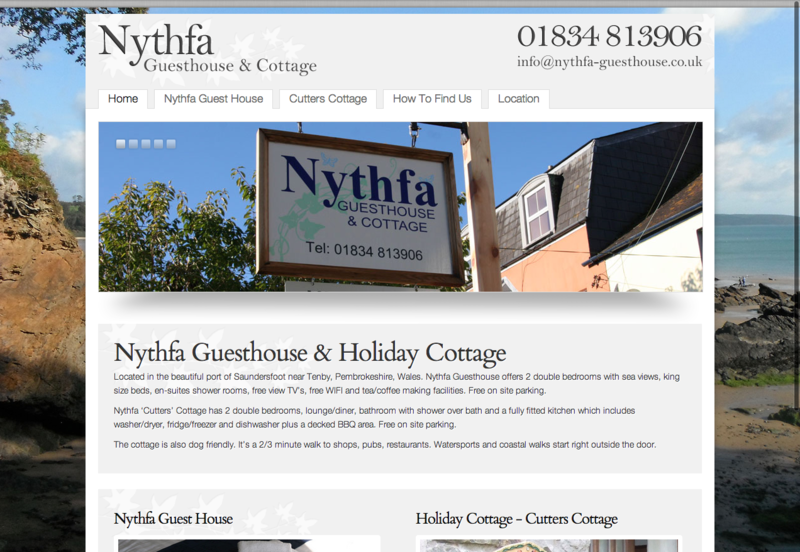 We have produced a new website for Nythfa Guesthouse and holiday cottage. Located in Saundersfoot near Tenby. Fantastic people look them up if you are looking for a great guesthouse or holiday cottage in South West Wales. Andy Powell Entertainer swing and soul singers website. Andy is a regular host and singer at Manchester United corporate events. He has so impressed in this field the Sir Alex Ferguson recently booked Andy Powell for his private ball. Andy is very talented and is also very funny and at ease on stage. A regular at Cottons Hotel at Knutsford, Andy entertains the guests at numerous functions over the year. Why not book Andy for your Wedding he can sing and compere the whole day for you or alternatively entertain the guest in the evening. A great alternative to a DJ. Andrews of Tideswell – Website Redesign. 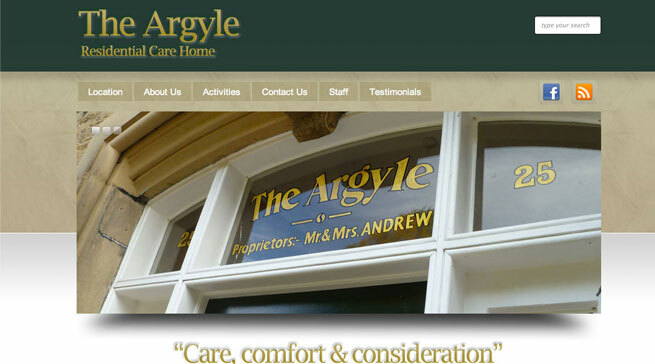 The Argyle care home in Buxton has commissioned SK23 Design to redesign their exiting websites for The Argyle and Welbycroft care homes. The Argyle is situated with stunning views out over the Pavillion gardens in Buxton and Welbycroft is situated with views out over Kinder Scout and surrounding areas. We are pleased to be developing the new Lyme Solar and Renewables website. Already established as a federation of master builders company Lyme Design & Build are expanding into the solar energy market. Check back for our progress. If you require any advice on solar installations give LYME SOLAR & RENEWABLES a call on 0161 483 6231. Chapel Vision site goes live. Chapel Vision is an independent group of Chapel Parish residents working with the local authority to improve local amenities. The approached SK23 Design to create a new website for them and we were please to be working with such a well respected group. They have four major groups of interest concerning transport, housing countryside and services. The group meets regularly to discuss these matters. Everybody is welcome to attend and contribute. Chapel Vision is a group of residents who want to involve as many of the local population as possible to plan and develop improvements for the area. Chapel Vision is supported by High Peak Borough Council and Chapel-en-le-Frith Parish Council but are independent. If you would like to get involved, or have some suggestions, or just want to be kept informed, go to the website and let them know by filling in their questionnaire online. SK23 are please to be working with Merge Decals on their new website. Merge Decals was founded in 2010 producing decals for motocross bikes. They are based in Manchester, their team of designers have over 10 years of experience in the Motocross industry and are constantly on the lookout for fresh new ideas and designs to keep you and your ride looking great. Utilising the best materials these decals are tested week in week out by some of the fastest riders in Europe. Their decals are second to none. We look forward to working with Jack and his team. 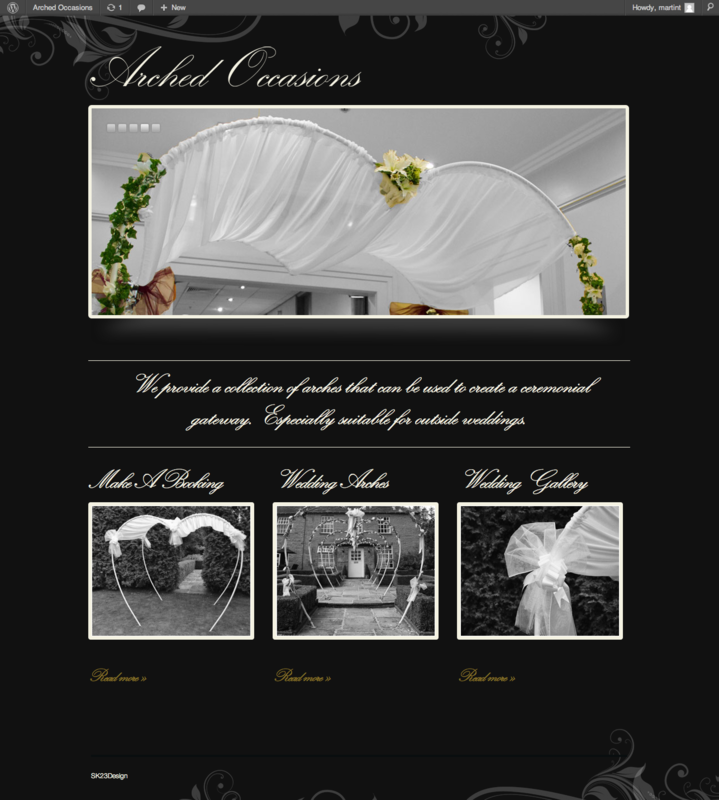 The work is first class, and we would like to do it justice with a cutting edge stylish site. With a easy to use e-commerce system.